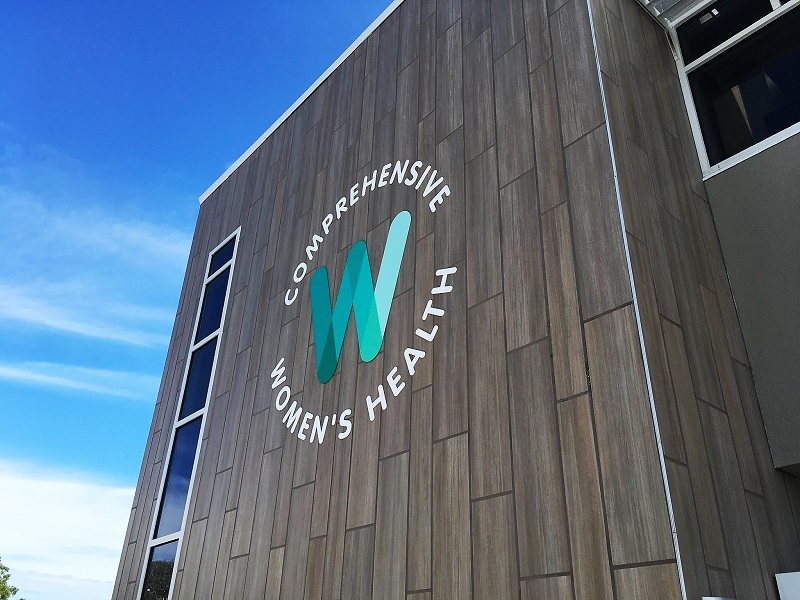 The Two-Story, 22,000 SF, $8.2 Million, Comprehensive Women’s Health (CWH) medical building contains 24 private examination and treatment rooms, nurse stations, surgery rooms, lab areas and office space. A community meeting room is also available for women’s birthing classes, postpartum support group meetings and more. 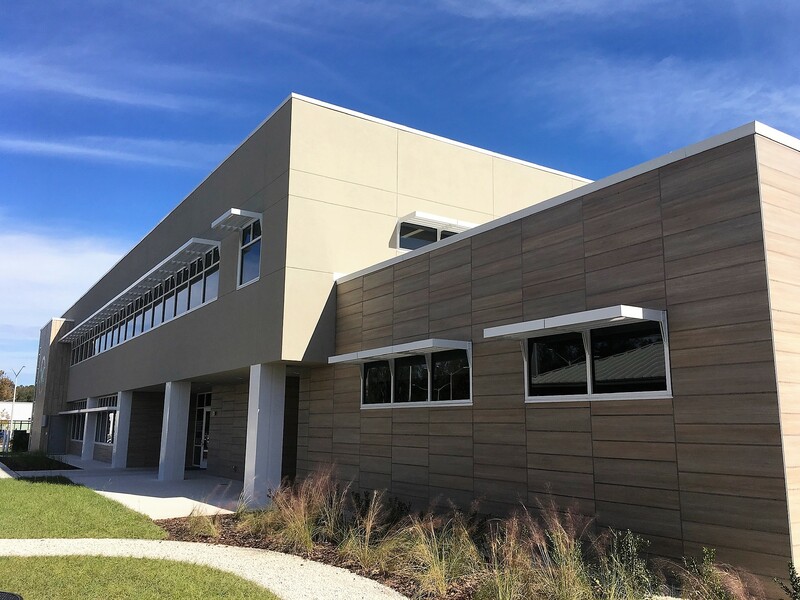 The exterior building envelope consists of various facades including thru-color rectified porcelain tile, painted synthetic stucco, and glass storefront. 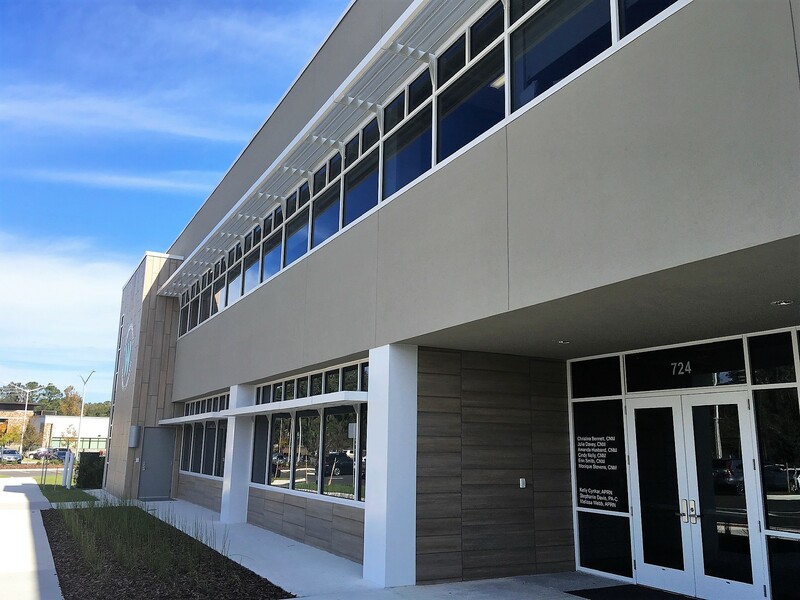 The structural building frame is comprised of a primary structural composite steel floor and steel roof frame supported on steel columns and spread foundations. 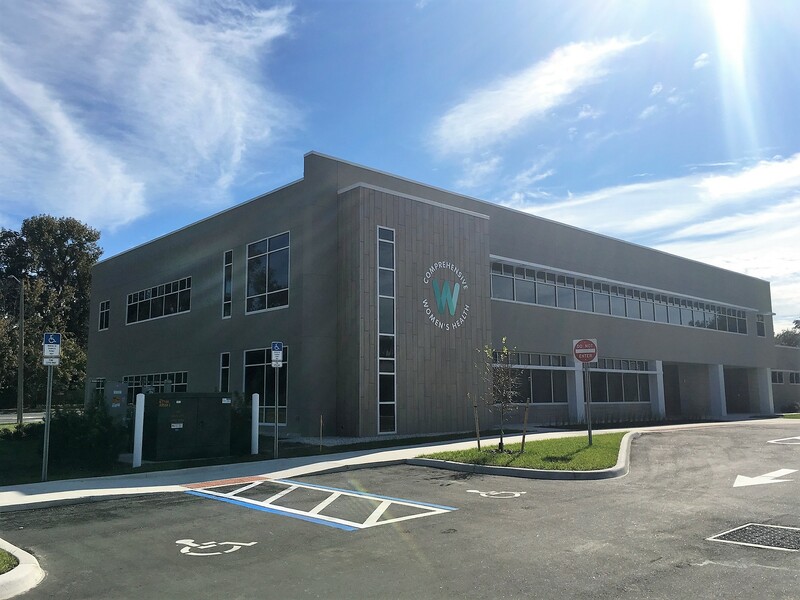 Lateral stability is provided by a composite steel diaphragm at the floor level and steel roof deck diaphragm at the roof level which transfers lateral load to the vertical lateral resisting structural elements including a combination of concrete shearwalls and concrete masonry shearwalls.